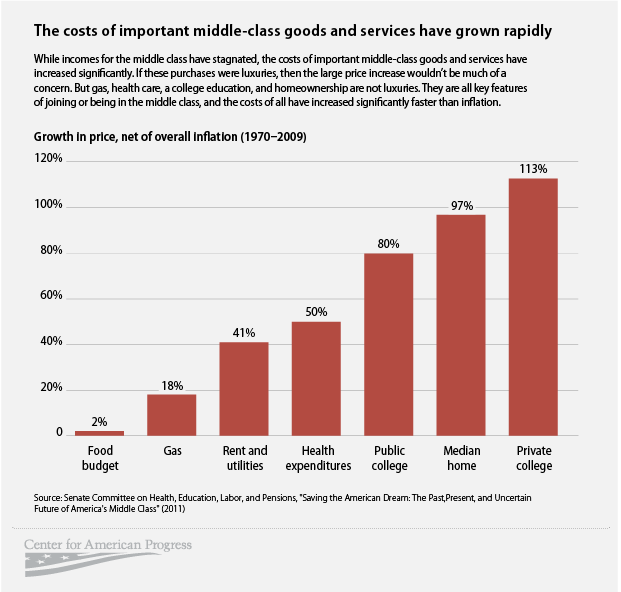 The middle class faces a number of economic challenges. Incomes are stagnant or falling, while the costs of life’s necessities continue to rise, and the risks of falling behind grow. Still, some dispute that the middle class is struggling. 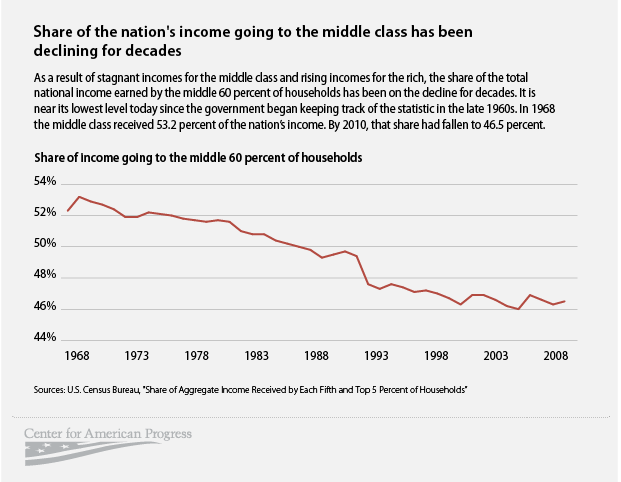 The following five charts present evidence on the state of the middle class. 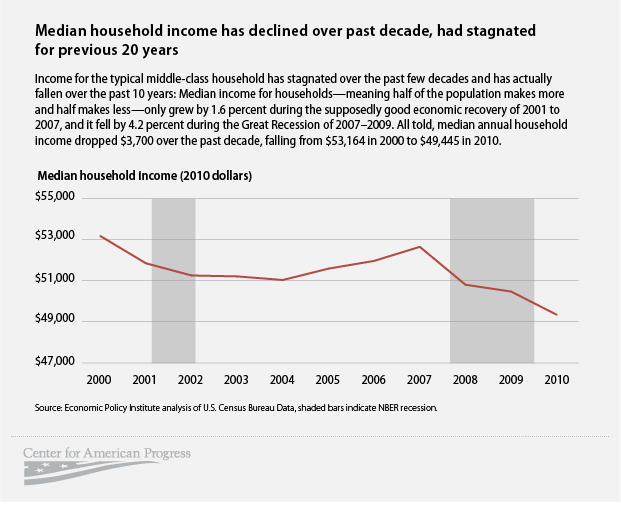 Middle-class incomes have declined over the past decade, and for the past several decades the share of the economic pie that the middle class receives has decreased and fewer people have earned middle-class incomes. 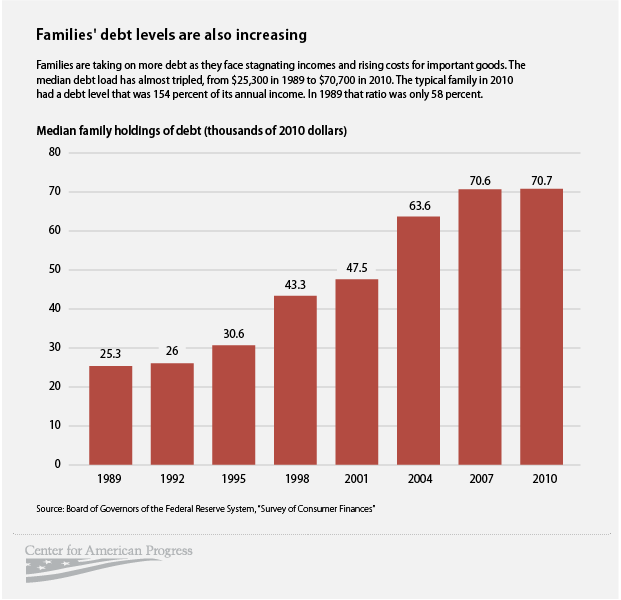 Moreover, the costs of middle-class basics have risen, and debt levels have increased. 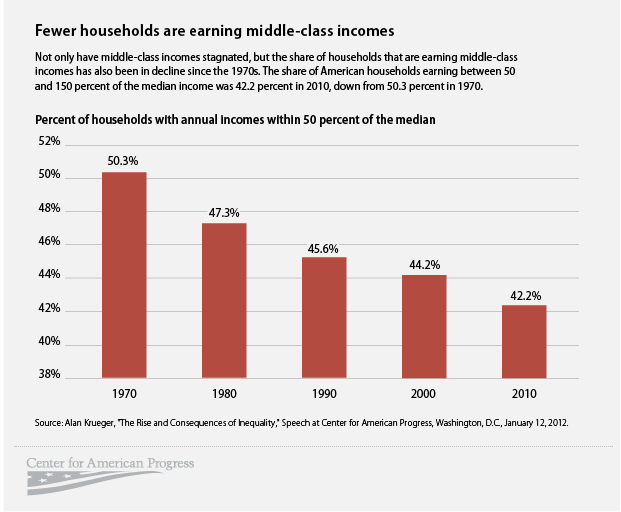 The weakness of our middle class is a problem not just for those who are struggling but also for all Americans because a strong middle class drives economic growth, as economic research shows. David Madland is a Senior Fellow at the Center for American Progress. Nick Bunker is a Research Assistant with the Economic Policy team at the Center.